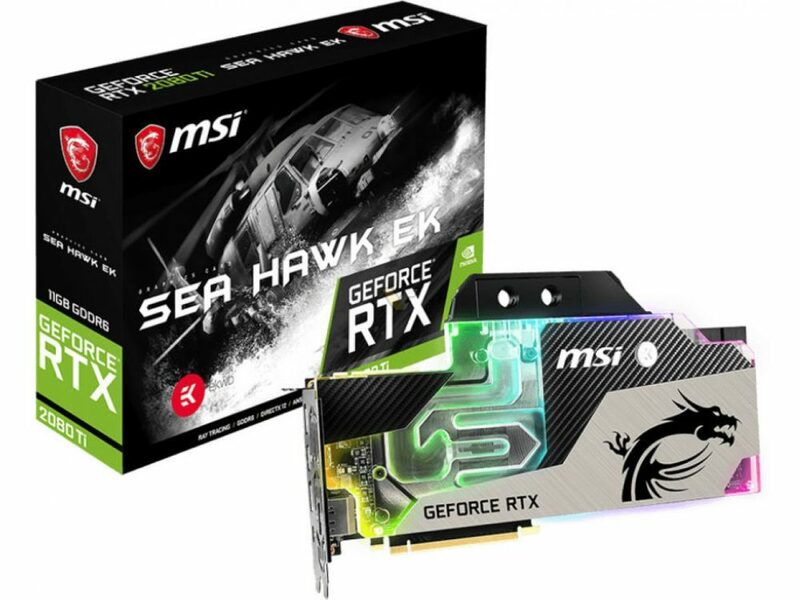 MSI today revealed the Sea Hawk EK X series. 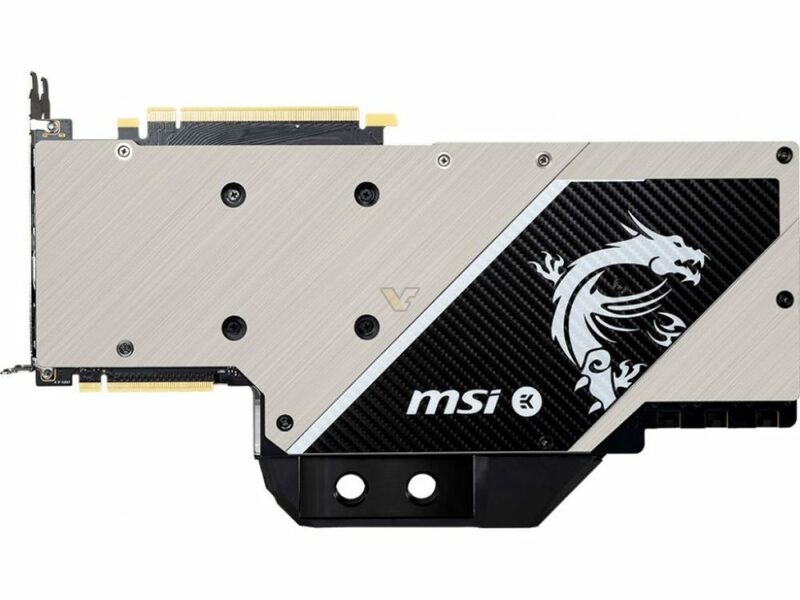 The new Sea Hawk series have been officially revealed by MSI. 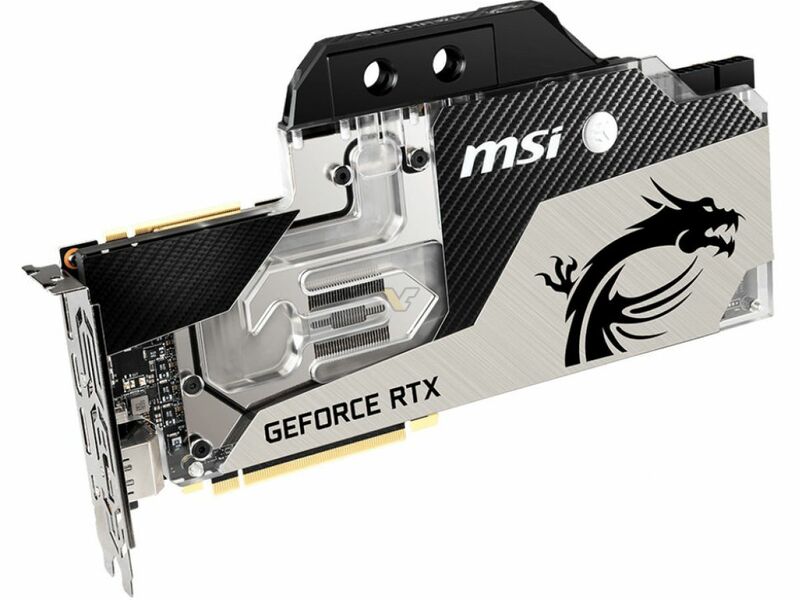 A total of four models were released, including Sea Hawk X series, which are equipped with AIO hybrid cooling solution, and the Sea Hawk EK X series featuring liquid cooling supported by EK water block. 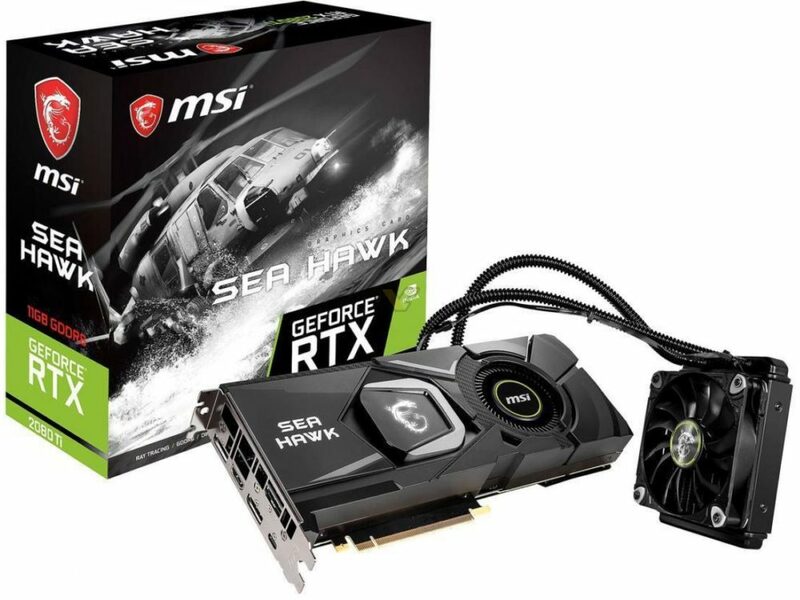 The RTX 2080 Ti Sea Hawk X series are currently the fastest RTX 2080 Tis on the market, with 1755 MHz boost clock (that’s 120 MHz higher than Founders Edition and 210 MHz above reference specs). 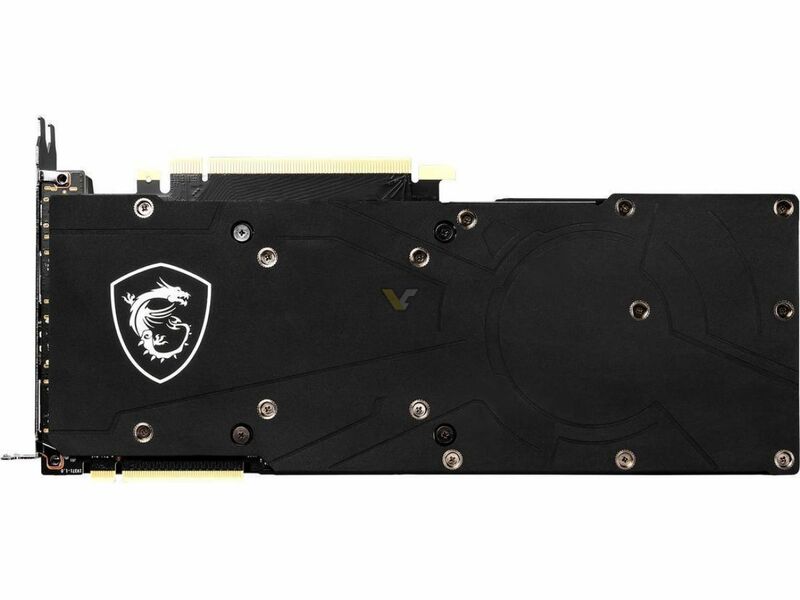 This comes at the cost of higher power consumption which is 300W (50W above the specs). 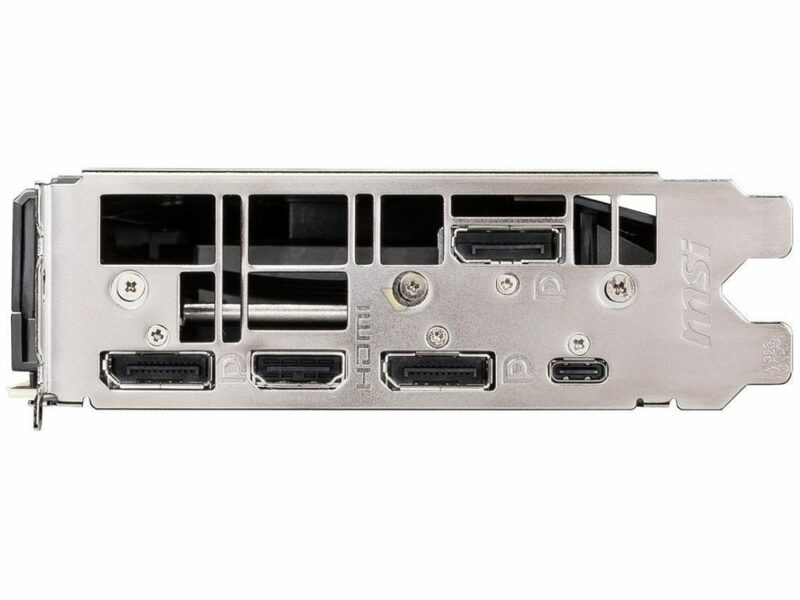 This is the same clock as for GAMING X Trio. 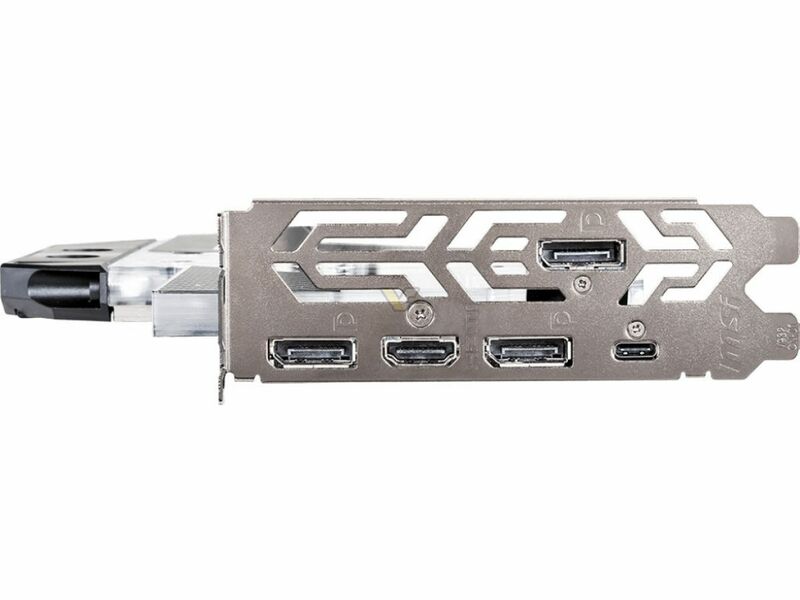 The specs indicate that the Sea Hawk EK X features the same PCB as GAMING X Trio (with two 8-pin power connectors and one 6-pin), but the Sea Hawk non-EK only features a pair of 8-pin connectors (so it’s a different board). 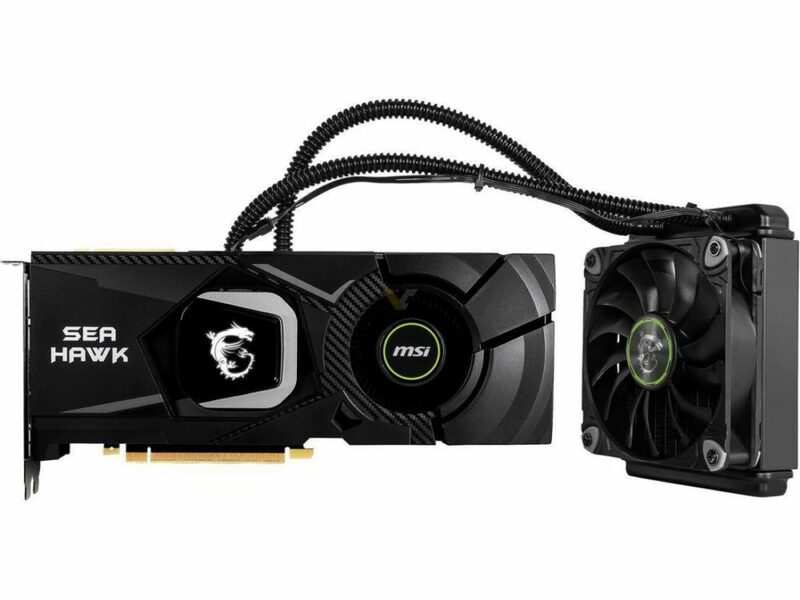 Meanwhile, the RTX 2080 series are quite the same (both featuring 1860 MHz boost clock and dual 8-pin power connectors). The only difference is 260W TDP for RTX 2080 Sea Hawk EK X and 245W TDP for RTX 2080 Sea Hawk X.
Intel's 9th Gen Core i9 packaging teased?